shut the front door. seriously, it is so hot in here right now my eyeballs are burning. is the beauty of the products too much for you too? if there was a way to package 'hotness' then YSL has cornered the market. 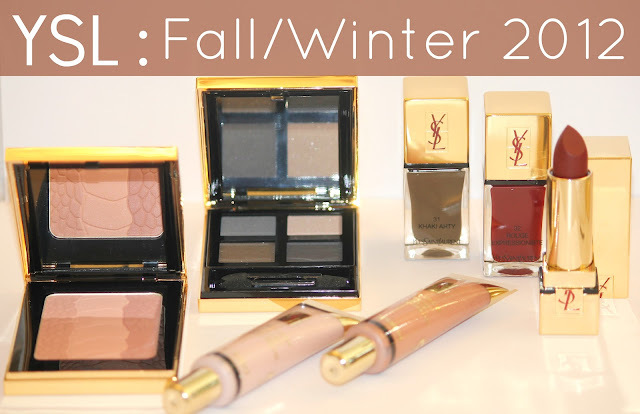 just looking at the new Fall/Winter 2012 makeup collection by Yves Saint Laurent makes me weak. 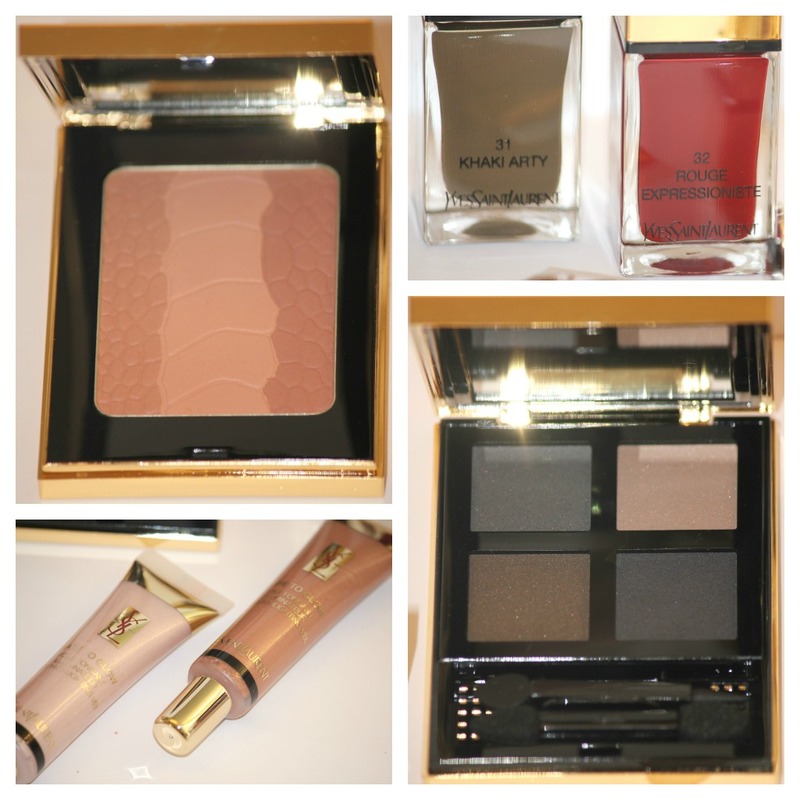 this luxury makeup line oozes glamour. their color selection for Fall is divine. please, give me a second while i wipe the drool from my chin. okay, enough with the obsession and on to the products. did you check out the nail polish colors? apply one of those gorgeous gems to your fingertips and enjoy feeling like a million bucks for the day. how about that Palette Couture? what you don't see is that the pressed powder mimics the pattern found on the cover of the compact. and the Pure Chromatics eyeshadow set? that lover of a palette can be used wet or dry to give you eight shadow colors. sigh. investing in this makeup is sure to produce great results, but i use the word invest because it is a luxury brand and does run a bit pricey. my makeup obsession has its limits but it is nice to splurge once in a while. if you are selecting your splurge item for Fall, i would suggest the gorgeous Palette Couture. watch your girlfriends swoon as you touch up your blush. 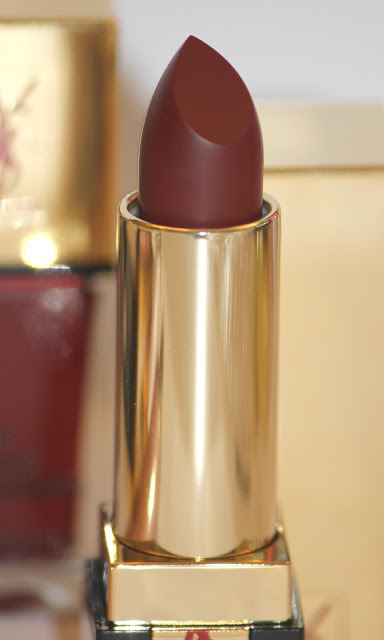 I love the dark red lipstick, super pretty! the nail polish colors are awesome!